I wish to use Remote Desktop Protocol on my Windows 10 machine to remotely access my MacBook Air running macOS High Sierra. Is this possible in any way shape or form? Remote access over RDP is possible from macOS to Windows but not vice versa. 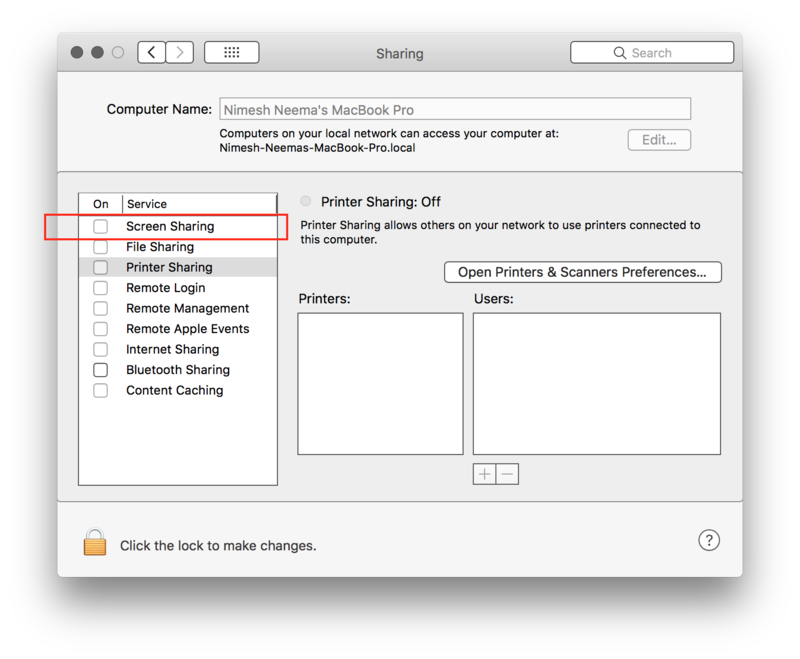 You can instead configure Screen Sharing from within Sharing preference pane under System Preferences app and connect to the Mac from Windows using one of the many VNC client apps. Not the answer you're looking for? Browse other questions tagged high-sierra remote-desktop .